Staff Team | The Cops ‘n Kids Youth Center staff team members pride themselves in serving children and teens. The Cops ‘n Kids Youth Center staff team members pride themselves in serving children and teens with a high level of professionalism, compassion and respect…oh and we love to have a great time every day. Each team member brings his or her own unique culture, credentials, and professional experience to the Center. Staff on and off site have decades of experience in multiple fields that specialize caring for children such as education, psychology, child care, military, out of school time, and behavioral health. We are dedicated to support youth with a trauma sensitive approach understanding that exposure to early traumatic experiences play a significant part in managing all aspects of life. We are especially grateful for the direct role modeling and resources provided by the City of Tarpon Springs Police Department leadership and Officers. They visit the Center weekly to interact with youth and support staff whether it be through homework help, chaperoning off site trips, playing games, etc. 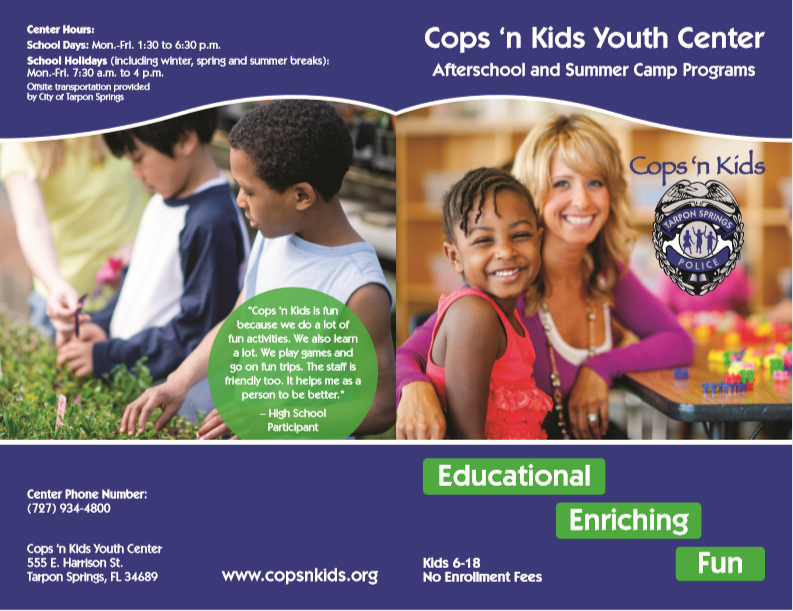 Established in 1994, the Cops ‘n Kids Youth Center is managed in partnership between the Local Community Housing Corporation (LCHC) sister organization of Tarpon Springs Housing Authority and the City of Tarpon Springs Police Department. This partnership has made a positive impact on the lives of students for 25 years! 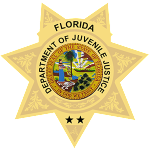 All aspects administration and daily operations is monitored by quality assurance agencies such as the Pinellas County Licensing Board, Health Department, and program funders such as the Juvenile Welfare Board and the Department of Juvenile Justice. The Cops ‘n Kids Youth Center has an excellent history of performance as prescribed by monitoring agencies. Click on the image above to download our brochure!